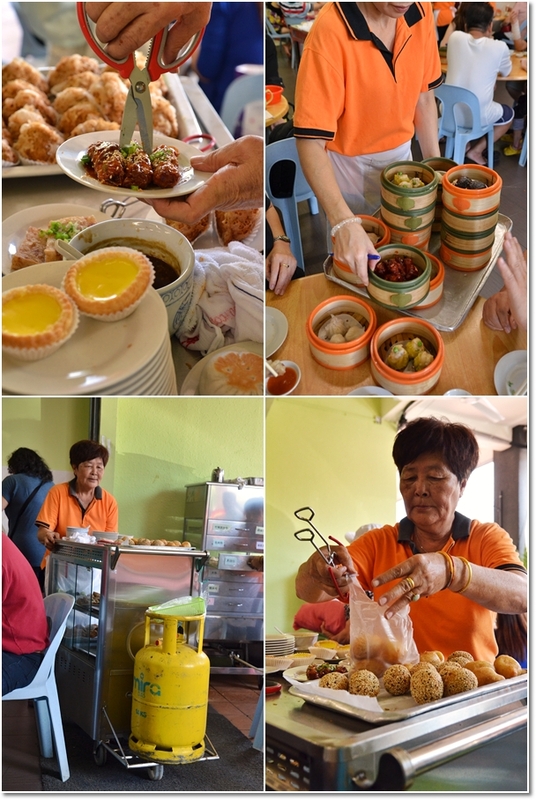 Zui Le Xuan Dim Sum Restaurant – The Affable Ladies in Orange casually working their charm around the relatively cramped premise; capacity to seat a crowd of 50 at most. By now, you must have noticed that I love breakfasts in Ipoh more than the other meals of the day. The sheer number of delectable options; ranging from simple noodles (fish ball noodles or fondly referred to as ‘liew fun’, Hakka mee, my absolute obsession with dry curry noodles) to elaborate/creative Western style of breakfast sets (thanks to all-day cafes sprouting like mushrooms all over town), there is seemingly no shortage of options upon waking up to the bright, cheerful Ipoh sky. 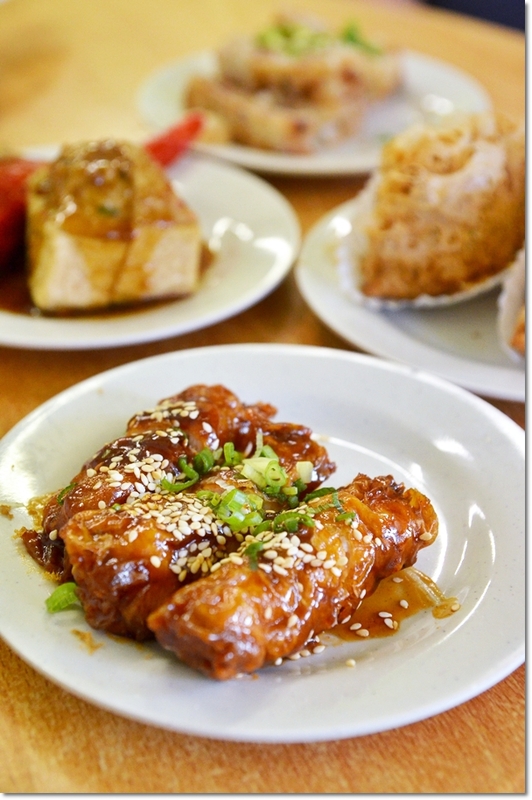 Sweet & Sour Rolls; finely-chopped pork rolled with beancurd sheets and studded with sesame seeds on the exterior, braised in a delectably tangy tomato-base sauce. If you’re a fan of dim sum, and your guess-timate is that there could be probably 101 choices in Ipoh (hop over the my Dim Sum list for an idea of where these are) and you’re falling back upon Foh San, Ming Court or Yoke Fook Moon for fear of traveling to unknown names and disappointed, then shame on you. 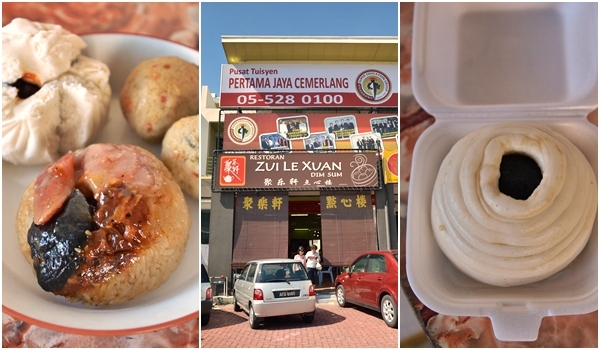 There are great dim sum establishments scattered around Ipoh that you should NOT miss, especially if you’re in Ipoh for the umpteenth time. This morning, I discovered a new addition to the pack; and this is one dim sum restaurant that deserves the off-track detour to First Garden. I first heard about this place a month ago from a friend; Teckiee who came here for the charcoal ‘lau sar pau’ (the bun filled with oozing golden elixir made of custard and salted egg yolk) and heaped compliments on the freshness and no-frills quality of the dim sum. Now she’s one of the pioneer food bloggers whom I looked upon, before I started blogging. And something she mentioned caught my attention; that the dim sum chef here came from Foh San. Plump, juicy and very fresh Prawn Dumplings (Har Gau), as well as Stuffed Cheong Fun with pork and fish paste, with fried shallots, wood ear fungus, chopped chestnuts and drizzled in a fragrant fried garlic oil. We arrived at about 10am or so, and the place was packed. A one shop-lot’s worth of space, filled with table fitted for a family of 4’s to round tables for 8’s and above, do expect some slight footwork (as in you need to stand like vultures, but this is very common in dim sum restaurants in Ipoh on weekends anyway) if you come in a large group. We had no problem finding the last available table at one corner; enough for three yet posed a challenge based on the amount of items ordered. But we took our time ordering and savouring before placing orders again. A plus point here is that, the place is relatively small hence it’s easy to flag for their attention or just walk over to the dim sum carts being pushed around. 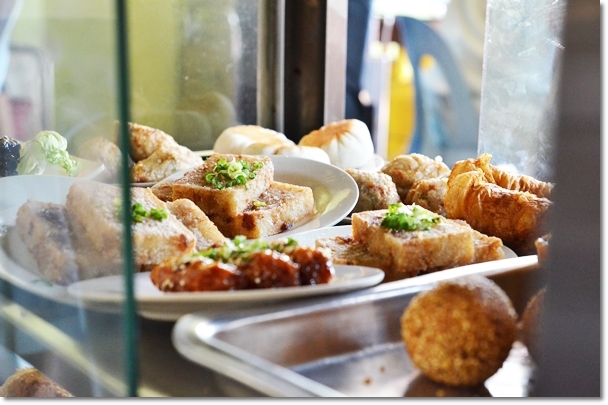 One with steamers for the steamed items like Har Gau, Siew Mai and Yue Mai, while the other with transparent glass display offering glimpses of satisfying fried items and Yong Tau Foo. 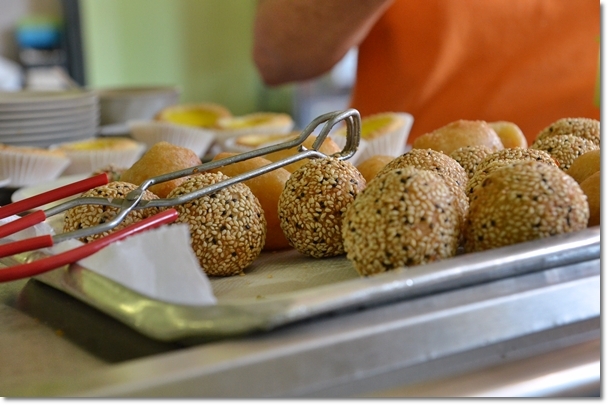 Fresh from the kitchen; the black and white sesame studded balls of dough pumped with lotus paste, and the Ham Sui Kok; a savoury fried puff filled with juicy cubed BBQ pork. The array of dim sum here falls back on the traditional varieties; focusing on fresh ingredients and cooking the morsels to the right degree. 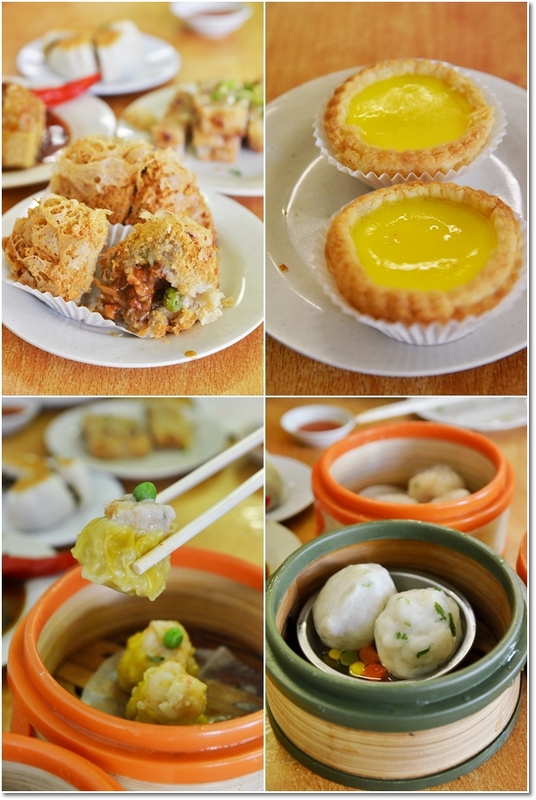 Har Gau and Siew Mai for example, were excellent examples of safe options gone wrong in many dim sum outlets. But here at Zui Le Xuan, you get really crunchy and plump shrimps in your Har Gau, and also one seated atop every piece of Siew Mai. The pan fried radish cake (Lor Bak Gou) with bits of ham, Woo Kok (yam puffs) and stuffed red chilies/beancurd were all top notch materials; deserving of seconds if you ever have space for them. 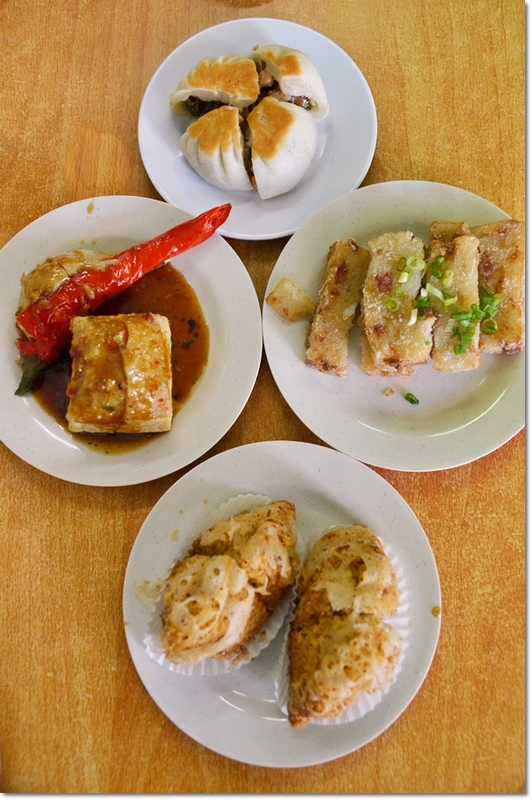 And don’t miss the stuffed Cheong Fun (rice rolls) and Siew Peng (pan fried bun filled with juicy pork) as well. 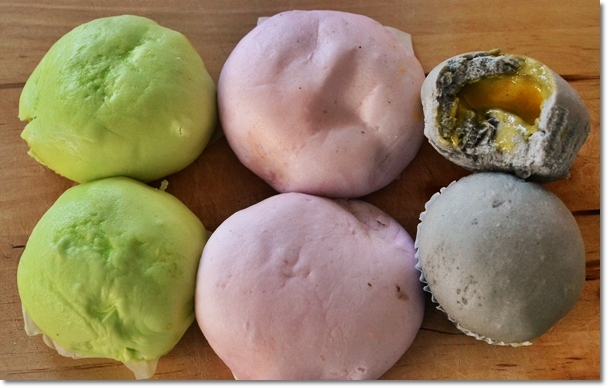 Clockwise from top : Siew Peng, Lor Bak Gou, Woo Kok and Stuffed Fish Paste. Heck, we actually tried almost 80% of the items on offer. For the rest not in the pictures above, we took away two pieces of every pau (fluffy, steamed buns) they have, fish balls and even Lor Mai Gai (steamed glutinous rice with chicken and mushrooms). Everything was impressive, the only shortfalls in the form of egg tarts that I found to be mediocre (the custard was a bit coagulated and artificial) and the highly-recommended Yue Mai (fish paste) which was lacklustre in terms of taste but very bouncy and fresh nonetheless. The chemistry shared among the ladies in orange; and between the workers and repeat customers was stunning. And here’s a place where you don’t expect attitudes, ungracious behaviour and non-responsive workers. Even in spite of the high traffic and continuous stomachs to appease, the ladies (mostly in late 50’s or even 60’s) were all aplomb with teases, witty remarks and charades that lent a very homely aura to the breakfast experience. There was never a tense moment nor a quiet one in that aspect. 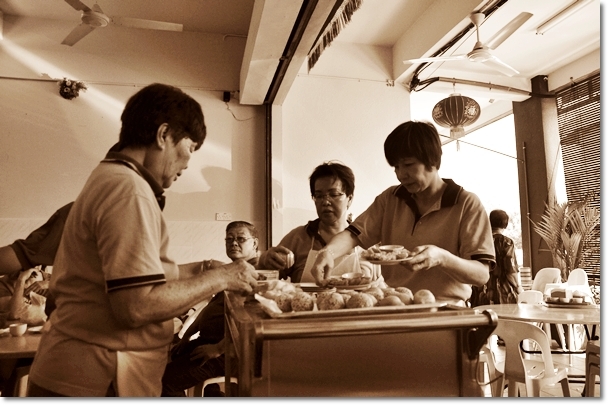 Even customers walking in to take-away certain dim sum from the pushcarts were treated like friends, instead of purely commercial transactions. Custard buns, Yam buns and the MUST-TRY; “Lau Sar Pau” with a twist; salted egg yolk custard in a bun infused with charcoal goodness. The Char Siew Pau, Lor Mai Gai and even the Kai Woh Pau (Chicken Nest Bun) are all awaiting for tea break later. And the entire feast of breakfast plus the take-away items came to slightly over RM70 only. To rate this restaurant based on only one visit may not be fair to the other stalwarts in the dim sum scene. But this comes highly recommended by Motormouth; and this won’t be my last visit, that’s for sure. Tell me what you think, or better yet, recommend me another dim sum place that’s further away from the madness of Dim Sum Street. *Zui Le Xuan has been operating since Dec 2012, and the son of the owner used to work in Foh San and several other dim sum establishments before. The place is pronounced as “Chooi Lock Hin” in Cantonese. Off days not fixed, 2 days per month. 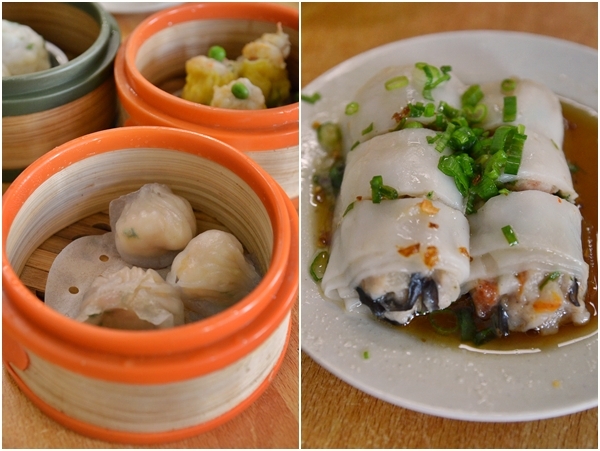 ** For other famous Dim Sum outlets in Ipoh, hop over to THIS LINK. Nice! Finally a decent dim sum restaurant near mum’s house, will go try when i go back!